Hopelessly Devoted Bibliophile: A BIG thank you and a GIVEAWAY! As you all know, I try to thank my lovely readers as often as I possibly can. If you don't know how much you mean to me well shame on you! I ADORE you all! I blog for you. I vlog for you. I wake up early to finish books so I can share them with you :). To those of you who comment weekly and keep open ties with me. Thank you immensely from the bottom of my heart. You make it all worthwhile! 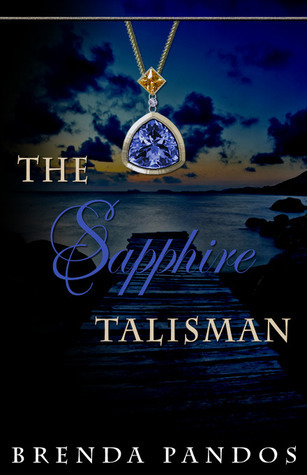 Brenda was sweet enough to allow me to offer up my copy of The Sapphire Talisman to all of you! I want to spread this book far and wide, and allow you experience it as well. Keep in mind, this is book 2! You'll have to find and experience The Emerald Talisman, book 1, for yourself :). See my reviews here and here. * One entry per person please, multiple entries will be deleted. * This is open to everyone, provided that International winners are willing to pay the extra shipping! * Giveaway ends November 15th, 2010 at 11pm PST. * Winner will have 48 hours to answer email before a new winner is chosen.